RAJVARMAN Pannir Selvam, 15, had been waiting for his chance since 7am, when the first batch of kavadi-bearing pilgrims departed Sungai Batu, heading towards Batu Caves. 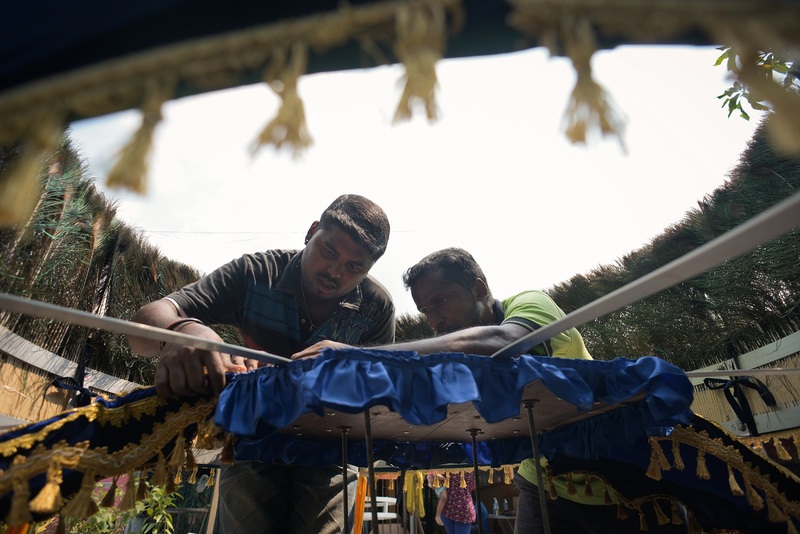 It was the day of Thaipusam, and Raj had taken the train on his own from Seremban – just so he could try his hand at being a kavadi porter at Batu Caves. His uncle, Balasubramaniam Batumalai, an experienced kavadi maker and porter, didn’t feel he was ready, so Raj spent the day escorting the pilgrims, performing the relatively simple task of offering them water, massaging their feet and making sure their pilgrimage was as comfortable as possible. But Raj was hoping to do what the older men were doing as kavadi porters, an act of kindness and devotion every bit as spiritual as the pilgrimage itself. Most people are fascinated by the pilgrims and their extraordinary acts of devotion in carrying their kavadis – physical burdens – up the 272-steps to the temple of Lord Murugan at Batu Caves. Kavadi porters, however, make that same trip, carrying the kavadi back to where the pilgrimage began all on their own, as often as five times a day. Raj made several trips up and down Batu Caves throughout the day, helping many pilgrims, but up until 7pm, he still had not been given the chance to carry a kavadi. Finally, as he was about to make his final trip down from the temple, Bala relented. Raj had been pestering him for a chance all day long. Day was slowly giving way to night, and the trip down Batu Caves’ famous steps would be a difficult one. There’s a dedicated lane on the stairs for pilgrims going up to the temple, but for the porters heading back down, it’s pretty much a free-for-all. By the time Raj completed the task, it was around 10pm. For the porters, nothing beats the satisfaction they get from helping others. At the end of the journey, the pilgrims often say a prayer for the porters and bless them by applying ash from the altar on their foreheads. “Blessings are something that money can’t buy. You only get it in return from doing good things from your heart,” said kavadi porter Kishor Balakrishnan, 27. While it certainly feels good being a kavadi porter, the task itself is never easy. 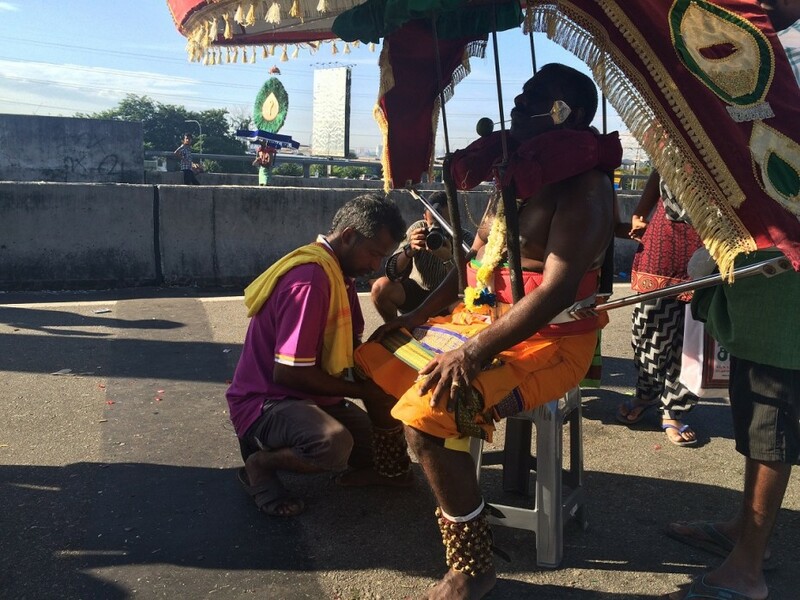 In the weeks leading up to Thaipusam, the porters have to prepare themselves spiritually. Many go vegetarian for up to 48 days, during which they have to pray every morning and evening. Some completely abstain from food for 24 hours before Thaipusam. And then there’s the weight of the kavadi. 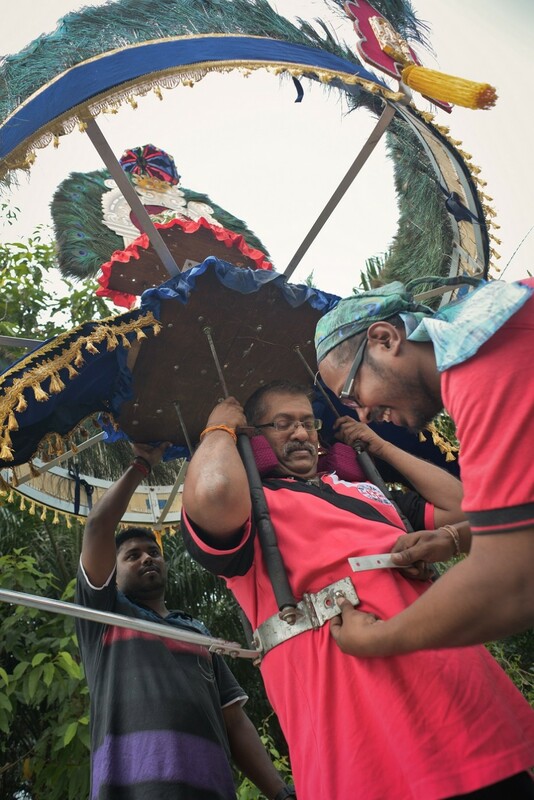 Most are around 25-30kg, but one at Thaipusam this year clocked in at a back-breaking 70kg. On top of that, most kavadis are custom-built to fit the pilgrims comfortably, so most of the time, the porters are carrying kavadis that aren’t fastened properly to their bodies. 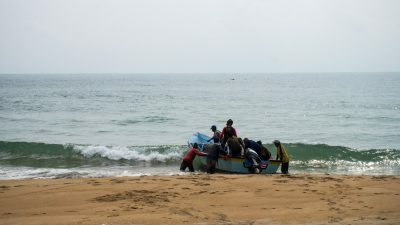 Kishor knows all about the challenges of being a kavadi porter, having been doing it since he was 20, when he saw an elderly woman climbing the stairs at Batu Caves. 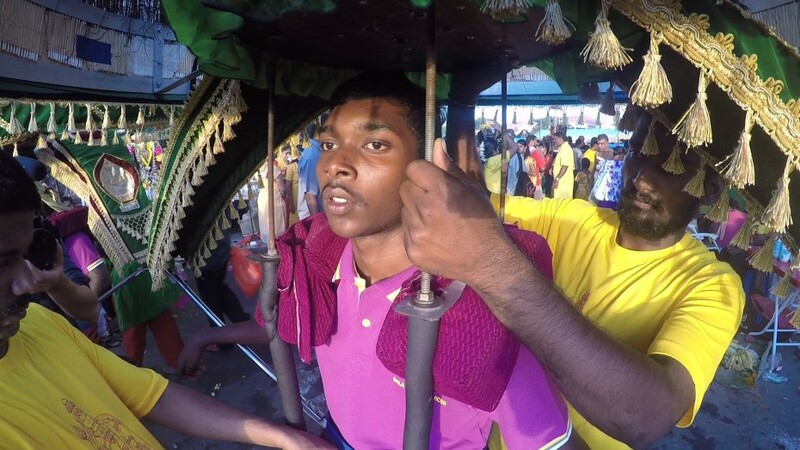 Kishor has been volunteering to help people at Thaipusam every year since. This year, he was at Batu Caves for three days, making seven trips up and down the temple. He observed a strict vegetarian diet for seven days to prepare himself, something which he believes gave him even more strength to help others. Even pilgrims with large groups of family and friends in support will often need help from porters like Kishor. As a teenager, Raj has another challenge to deal with – his parents’ disapproval. “My dad told me to stop last year to focus on my studies, but I still did it,” said Raj, who will be sitting for his PT3 exams this year. “I don’t mind too much, because I’m doing this for god. And when it comes to matters of god, we should always do it happily, or not at all. The premiere of our latest documentary, The Men Who Carry Thaipusam. Kishor and Raj are now learning more about the art of kavadi-making under the guidance of Bala, who has been running a kavadi rental and porter business for the past 19 years. “I do this because people have entrusted me with the task of helping them fulfil their vows to god. “Many of them who come to us are doing the pilgrimage for the first time, that’s why I’ve taken it upon myself to learn everything there is to kavadi-making so I can serve them well,” said Bala. Bala started making kavadis as a hobby, but he now receives orders from devotees coming from as far as Australia and Britain, and he has also shipped kavadis to Africa and the United States. He is also constantly finding new ways to improve the kavadis he make. He’ll be going to Ipoh next month to learn more about LED lighting and wiring, so he can improve the lighting on his kavadis. And while he’s improving his knowledge on kavadi-making, he’s also teaching younger porters in his team like Raj and Kishor how to deal with and educate clients, many of whom have unrealistic expectations of the type of kavadi they want to carry. “Sometimes, the clients choose a kavadi based on the design. Then I have to ask them how much they weigh, because if you’re 50kg, for example, you can’t carry a 40kg kavadi. “It gets even harder when there are strong winds around the temple,” said Raj. While many traditional practices struggle to get interest among young people, Bala is glad to see that’s not the case with the kavadi business. “We must share our culture and knowledge because there are actually a lot of young people who are interested in doing kavadi. I have people from other states like Penang and Kedah coming to me for help. There are also a lot of 14-16-year-olds from around my neighbourhood who come here to volunteer,” he said. Interesting update on thaipusam festival ,enjoyed watching it.I was there to watch thaipusam this year at Batu Caves. Glad to hear you liked the video. Did you see any kavadi porters while you were there? Great video, but I always hate watching your videos on this website. It’s so laggy and it crashes. Could you please upload it to youtube instead so I can share to my friends? Thanks for the feedback, Ben! We’re really sorry about the crashes. We’ll look into it and pass on your recommendation to our management. We’ll try to get it sorted out ASAP. Cheers! 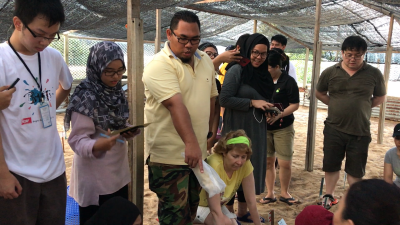 R.AGE spent four days deep in the jungle investigating claims that up to 50% of the orang asli children in Sungai Kejar were dying of a mystery illness. The locals call it “serawan”. 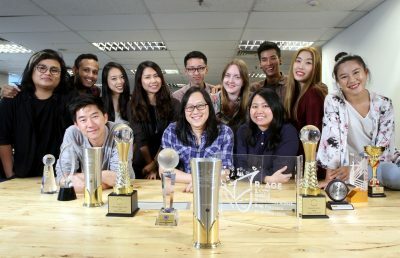 Want to be in the running to meet R.AGE producers and journalists? Take part in our R.AGE Audience Survey 2019 by Feb 17, 2019! 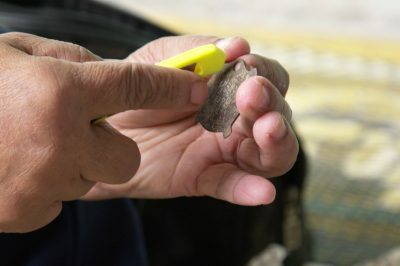 Female circumcision is a very common practice in Malaysia, but the procedure is still almost completely unregulated. 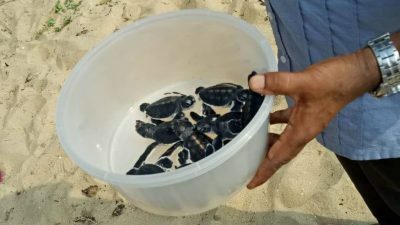 The 21st century brings unseen threats to local turtle conservation efforts. 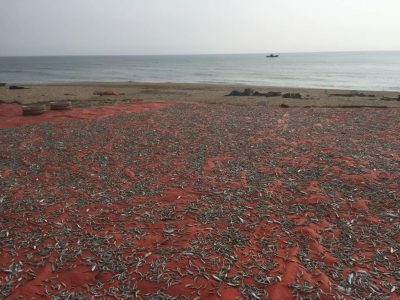 In a modest village situated on the sandy shores of Terengganu, the production of ikan bilis has formed the livelihoods of most families for multiple generations.